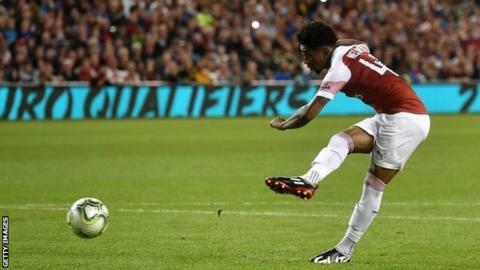 Arsenal teenager Reiss Nelson has joined Bundesliga side Hoffenheim on loan until the end of the season after signing a new deal with the Gunners. The 18-year-old England Under-19 winger has played 16 times for Arsenal and has agreed a new "long-term contract". Gunners boss Unai Emery said: "Reiss is a talented young player. This move to Hoffenheim will give him the chance to get regular high-level competition." He is the eighth young English player to be contracted to a Bundesliga club. Borussia Dortmund have winger Jadon Sancho and midfielder Denzeil Boadu. Borussia Monchengladbach signed winger Keanan Bennetts from Tottenham this summer, to join right-back Mandela Egbo at the club. Kaylen Hinds is a Wolfsburg striker, Chima Okoroji, who has a Liverpudlian mother, is at Freiburg and defender Danny Collinge is at Stuttgart.